After the Thunderbolts had been restructured in the wake of the Superhuman Civil War, Norman Osborn decided to appoint Moonstone as the team's new field-leader. 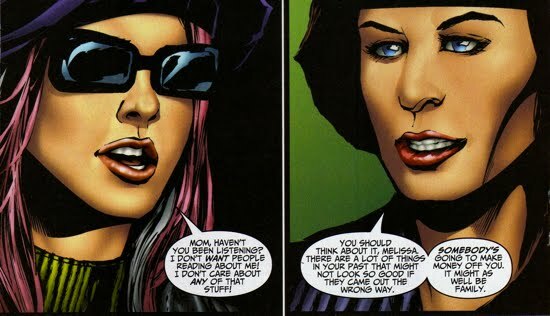 This roster change led to a rift between Osborn and the team's former field-leader, Songbird (aka Melissa Gold aka the former Screaming Mimi). There was no love lost between them and just when Songbird thought Osborn could not be a worse person...he managed to prove her wrong. Norman's destructive behavior toward Melissa continued in the one-shot Thunderbolts: Breaking Point. When the environment-loving superhuman, aptly named Brother Nature, began wreaking havoc in defense of Earth's wildlife, the Thunderbolts were called in to detain him. The team made quick work of Brother Nature and in the course of their arrest, Songbird once again presumed leadership of the team in the field in order to ensure success. Moonstone was not happy to be shown-up yet again by her subordinate, so she wasted no time in reporting Songbird's disobedience to Osborn. However, Norman did not give Songbird a hard time though, in fact, he brushed it off to focus on more important matters...children's toys. Osborn requested that Melissa meet the Thunderbolt's marketing rep in order to finalize the deal for Songbird action figures. Apparently Songbird was quite 'toyetic' (as stated in Thunderbolts #111) and the Thunderbolts organization wanted to capitalize on some of its positive PR. Melissa went along with the project. The next day Songbird's mom was found dead from a car crash, she had apparently been intoxicated. Moonstone gave Songbird the bad news, but soon confessed that Osborn ordered her to tell Songbird because was apparently 'too squeamish' to deliver the news personally. This uncharacteristically squeamish demeanor suggested that Osborn may had something to do with Songbird's mom's death. This suspicion was later (somewhat) confirmed when Songbird gained access to security footage which displayed her mom appearing smitten by Osborn's presence. 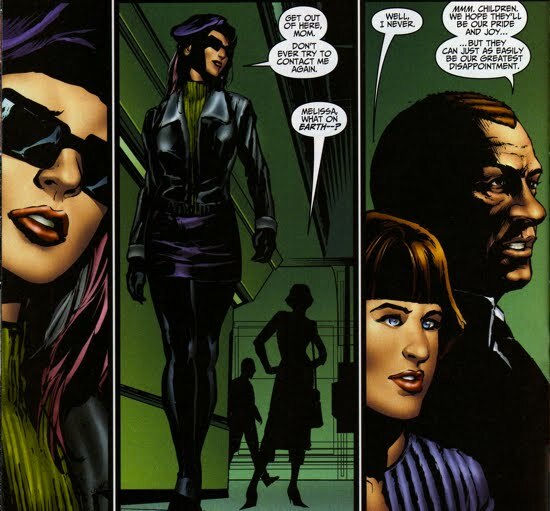 In the footage, Moonstone appeared to goad Melissa's mom into meeting with Osborn. Moonstone's defense of the footage was as follows, "If your mother was inspired to do something stupid, and Norman did...what Norman does...well, that's on them. Not me." Songbird answered Moonstone's cold comments with a veiled threat on Moonstone's life. For the record, it would not be completely uncharacteristic of Osborn to exploit a recovering alcoholic and force them into a dangerous automobile situation. Recall the paralysis of Flash Thompson.